Libyan paper money history includes one of the most controversial leaders in modern history. 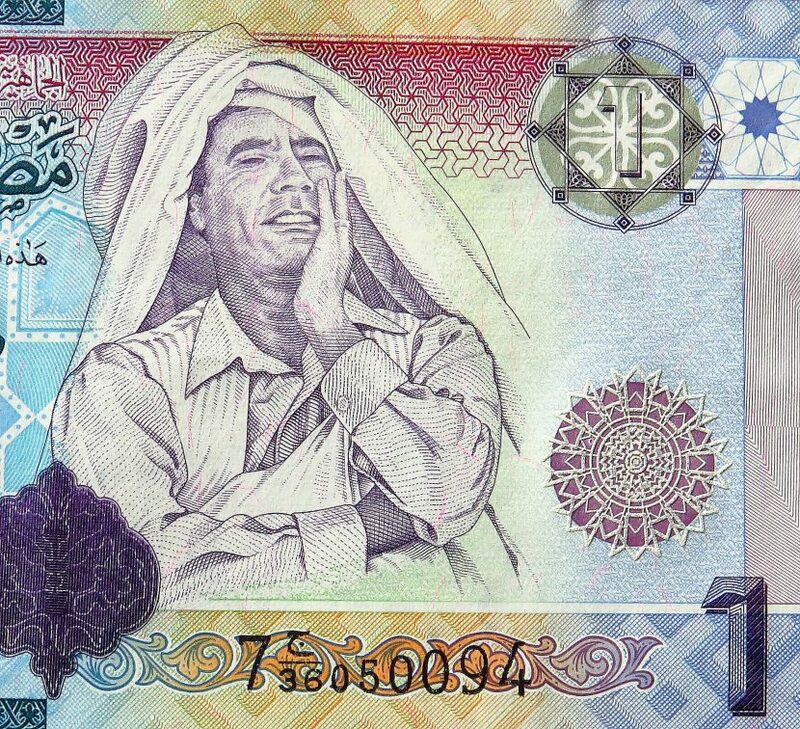 The 2009 Libya 1 Dinar banknote features the infamous dictator Muammar Gadaffi on the front. On the back is an image of the great Mosque in Tripoli. Printed on high quality paper, this colorful note has several anti counterfeiting features as well. The note was a re-design of the 2004 issue that also featured Gadaffi. The 2009 Libyan 1 Dinar was used until 2013 when a new Gaddaffi-less 1 Dinar was printed following the Libyan Civil War in 2011. The Libyan Dinar has been the currency Libya since replacing the pound in 1971. Muammar Gaddafi ruled Libya for more than 40 years before his death during the Libyan Civil War in 2011. Gaddafi was known as a ruthless dictator and also somewhat of an eccentric. Gaddafi was born in a tent and often preferred to sleep in a luxury tent outside of hotels rather than a room. Gaddafi’s personal security force consisted of all female bodyguards in high-heels and fatigues . Gaddafi was also known to wear flamboyant outfits. From his rise to power via a coup in 1969 to his ultimate capture and death in 2011, Muammar Gaddafi was an important piece in modern history. The now obsolete 2009 Libyan 1 Dinar banknote is a lasting memory of Libyan history. In our current age of digital money a small fraction of banknotes are actually printed. Many countries are considering going with completely paperless currency in the near future. The inevitable paper money extinction should make paper money collectibles more desired in the future. One of my personal favorites the 2009 Libya 1 Dinar is a must for any collection. Buy collectible banknotes in my ebay store!